Well this was a nice surprise to see once my short lived hiatus from WoW ended. 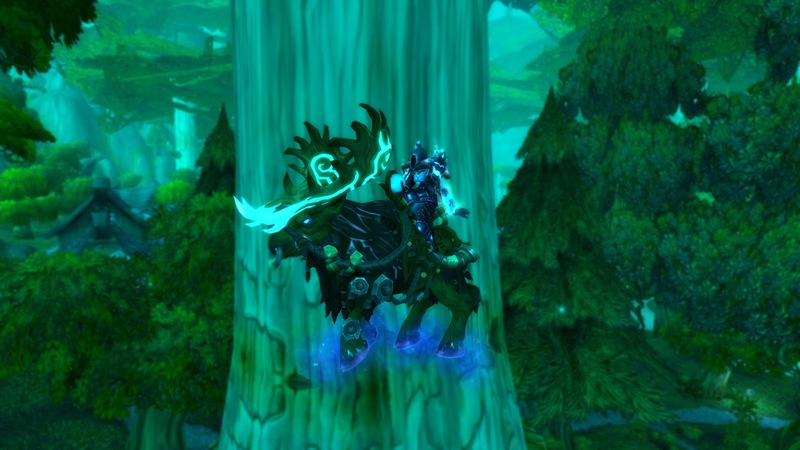 Blizz decided to add a mount reward for killing Heroic Archimonde. I should say, it’s in the form of a quest rather than a drop, but it’s still nice to have. The quest is nothing more than talking to an npc once the killing is done, which is a shame. I’d have liked to see a longer drawn out quest for such a nice mount. Regardless, my mount count is now at 132 with the help of my new trusted Reins of the Grove Warden. Just in time for the holidays.